GET YOUR FREE GOAL TRACKING WORKSHEET NOW! This worksheet will help you turn a resolution into a reality! 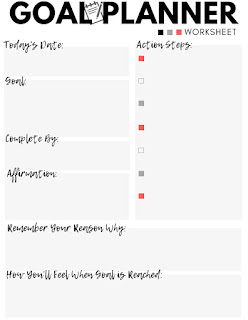 With everything you need to make your goals achievable, this little worksheet will keep your steps & reasons organized & clear.